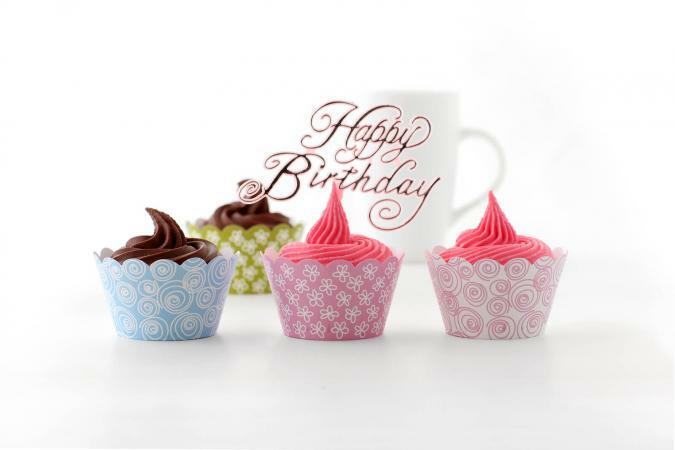 Adorn your next baking project with printable cupcake wrappers. These homemade wrappers are perfect for a variety of occasions and add a festive touch to plain cupcakes. 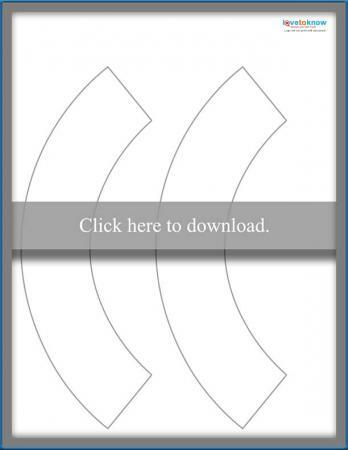 Download and print the wrappers using Adobe Reader. They are meant to be wrapped around baked and cooled cupcakes in liners. Each printable features two wrappers. To wrap cupcakes, position the curved end on one side at the base of the cupcake, carefully meet ends in the back, and secure with tape. These wrappers will fit standard-sized cupcakes. Colorful balloons, streamers, and stars make this wrapper perfect for a birthday or any celebration. Use it for a retirement, graduation, or anniversary party. Click to download the festive wrapper. Rainbow colors blend together in a design perfect for any occasion from a birthday to a summer party to prom. 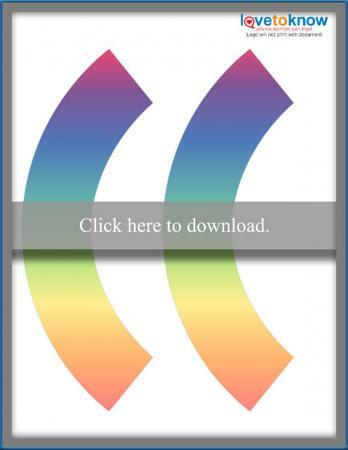 Click to download the rainbow wrapper. Chevron stripes are a trendy yet classic design perfect for any party. Use this wrapper for a baby shower, wedding and/or bridal shower, man's birthday party, retirement, and more. They really will fit any occasion. 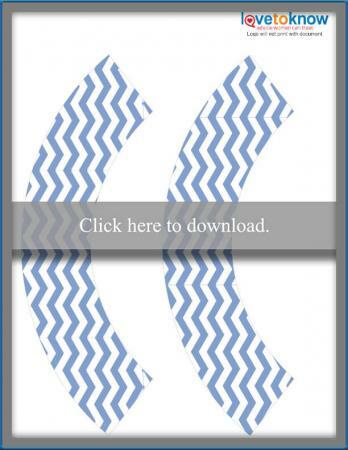 Click to download the chevron striped wrappers. A lovely shade of purple highlights peach, lavender, and pink blossoms. This is perfect for a tea party, spring or summer wedding or shower, a retro-themed party, gardening party, or birthday. 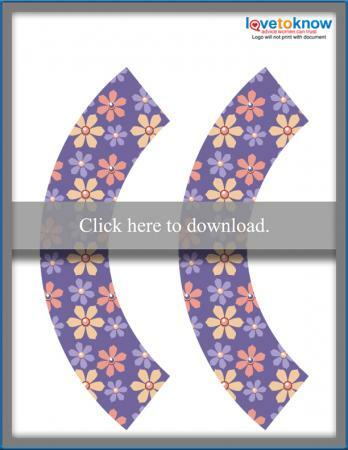 Click to download the flower wrappers. If you're throwing a princess, knight, or fairytale themed party, these wrappers will make your dessert table fit in perfectly. 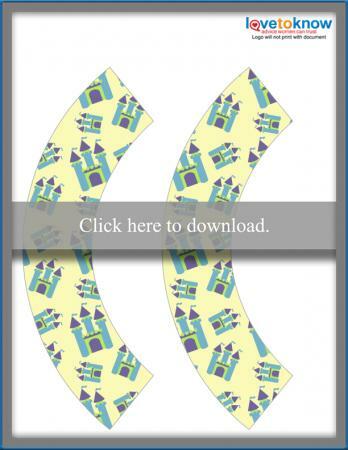 Click to download the castle wrapper. Whether you're hosting a party for your pets, a fundraiser for a shelter, or a themed kid's birthday party, the wrappers featuring these furry friends will add to your overall theme. 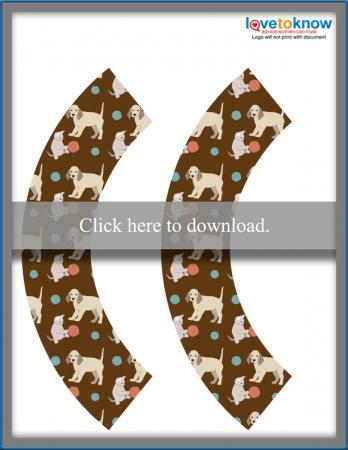 Click to download the pets wrapper. 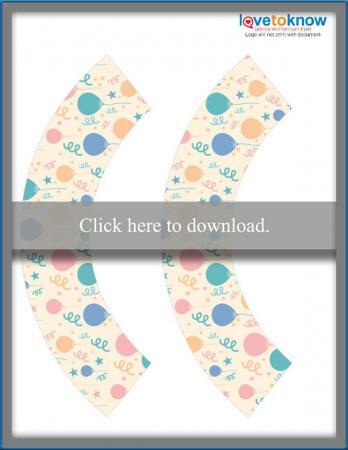 Creating your own cupcake wrappers is easy when you work with a template. Download the template and use it in conjunction with your design programs and clip art to create wrappers on your computer. Click to download the blank cupcake wrapper. Print the wrappers directly onto 8.5x11-inch scrapbooking paper to create themed wrappers. Have kids draw and color pictures on the wrappers to create personalized treats to take to friends and family. Use stamps, glitter, and other craft supplies to make a creative design. Cut the blank wrappers out and trace around them on the back of wrapping paper, newspaper, or even photographs to create customized wrappers. Use scalloped scrapbooking scissors to cut the top edge out and create an elegant or trendy edge. Place templates on doilies or stiff lace and trace to create fancy wrappers for weddings or anniversaries. Wrappers are made to fit standard cupcakes unless otherwise specified. If you want to make mini-cupcakes or extra-large cupcakes, you might need to alter the wrappers in an editing program. Use cardstock for your wrappers as regular printing paper may be too flimsy. The cupcake wrappers do not come with bottoms, so you will still need to bake your cupcakes in a regular wrapper and then cover that one in your printed wrapper. Use a plain wrapper or one that coordinates with the design on the printed wrapper for best results. Save your downloaded wrappers with a name and in a place you will remember. Cupcake wrappers are an easy way to make a statement if you do not have the time or skills to decorate cupcakes for your next social event. Printable ones make getting customized wrappers easy.